Oops got my songs/bands mixed up. 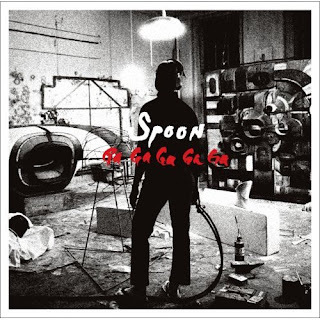 Been listening to the new Spoon album 'Ga Ga Ga Ga Ga' and I have to say is, sweetness! Always a peer band favorite (Interpol loves them) and for good reason. These guys rock! They have influences here and there from a bunch of different bands/artists. Like Prince on 'I Turn My Camera On' from their last record 'Gimme Fiction' and 'Don't You Evah' from this new one, but yet they still manage to have their own distinctive style/sound. You instantly know it's them. Mostly due to Britt Daniels great voice, melodies and catchy lyrics. Yet they still manage to stay slightly beneath the mainstream radar, which I think is a great thing. Allows them the freedom to keep trying out new things and experimenting with their sounds and styles, as true artists should. This new record might be the one who puts them over the top to more mainstream success, but let's hope it doesn't. I like them right were they are now. Respect from many music peers and critics as well as selling records to keep them out there doing what they love, making music for a living! There's too much pressure on top anyways. Better to stay slighly underground and around for the long haul I say. Anyways whatever their doing is working. Check out these great tracks from their new album. Then go buy it. It's in stores now!